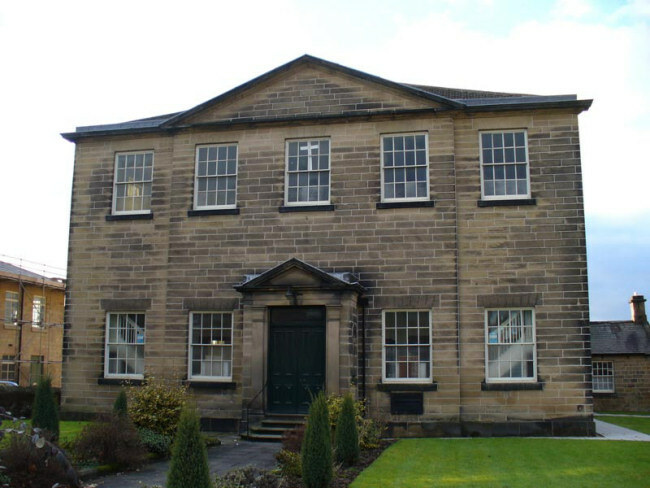 There has been a Wesleyan chapel in Belper since 1782 and the current fine Georgian building in Chapel Street Belper was opened in 1807. This listed building is the largest surviving pre-Victorian chapel in the county. It is square in plan, as favoured by the early Wesleyans, with a hippe, and retains its original seating. There is a a fine plaster ceiling. Constructed in stone with square sash windows, the style is plain save for the pedimented front. The building is set back from the A6 in its own large graveyard, now a pleasant garden. When first built the chapel was described as "the wonder of the country for many miles around" on account of its great size (accommodating 1,400 people - so it was said!). It is now a listed building and there are plans for its restoration. The original stone chapel where Wesley would have preached is reputed to be within the grounds of the present church. 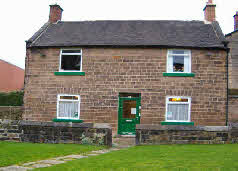 Currently there is an old cottage used by the Belper Cottage Project group. This may have been connected to the old Weslyan Chapel. Click on THIS ADDITIONAL PAGE to find a few more details of these burials, (not all) giving some parental details and places of abode.